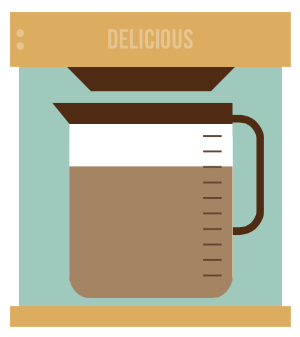 Wondering how the coffee tasting app calculates scores? Coffees are scored on a 100 point scale. Most will receive between 75 to 90 points. compared to the SCAA cupping protocol,our scoring focuses more on what makes a coffee interesting and fun, and less on the presence of defects that professionals might encounter in the field. Each item added counts as two points up to a max of ten. 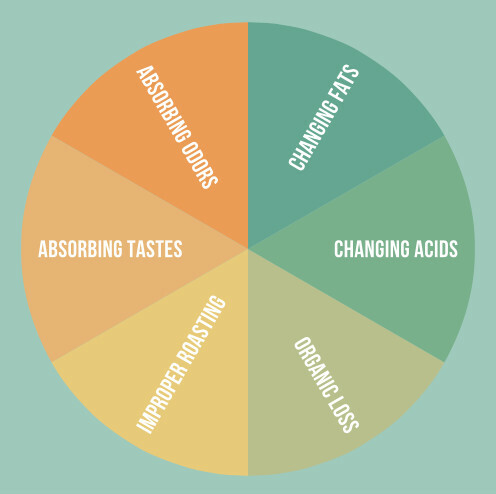 Beginners have a combined aroma & flavor wheel, advanced users have them separate for a total max of 20. Only advanced users have these charts, but beginners will see body in the radar chart. The y-axis lets you record how heavy the body or strong the acidity is. The quality-axis indicates how good you think it is. Only the quality-axis counts for points. Every axis on the radar chart is worth up to ten points, the further out on the chart you go, the more points awarded. Bitterness, however, is worth negative points. This weel works just like the aroma & flavor wheels, only each selection is worth a negative two points. A coffee with no defects gets 10 points, and a coffee with 5 or more defects will receive zero. The final step for both beginner and advanced users is just your overall impression of the coffee. It's worth 10 points. you should also know that points are being awarded on a sliding scale. This makes the early points easier to get but allows for more specificity at the high end. It's not important to worry about unless you're really serious about the math. Plus 30 points just for playing. Ready to start recording notes? Don't forget to create an account so your notes are saved.